We wanted to take our time with this review, but lucky for us, the Nintendo Switch is a portable console, so it happened faster than I would have expected. After completing most of what The Legend of Zelda Breath of the Wild has to offer, including the majority of the shrines and upgrades, regions, side quests, all four divine beats and a fair share of Korok seeds, we’ve amassed a consensus. Our gameplay amassed about 90 hours on the console, so my following opinion speaks to a nearly complete play-through from a lifetime Zelda fan. I’ve found as I grow older that I can be more critical of things I loved when I was a kid, if not more than other things, because I loved them so much, the Legend of Zelda franchise namely is among these things. This is not to mean that I have some ego gained from being a web critic, or that I’ve become more than slightly jaded, but that I can accept that the way that I loved things as a child, from Godzilla movies to Space Jam, seemed perfect because we saw them apart from context of what constitutes “good.” When you judge as a child, it’s pure. You see it for all the potential imagination it can unlock within yourself and with your family and friends. As an adult, you can criticize creative works structurally, fundamentally, philosophically, not because you want to win an argument or be contrarian, but because you see a product or piece of art for what it is and accept its flaws as a part of it’s existence in its medium. What’s so nice about The Legend of Zelda franchise is that the plots remain pretty consistent, but are reimagined for each new generation of entering fans with main installments. For many, Ocarina of Time is the highest standard, to others A Link to the Past. It’s all semantics in regards to arguing which is better than the other, the important thing is that those respective Zelda games were the best Zelda games they could have been for their time. The legend changes to fit its time, as many age old stories do. I talk with people a lot about the original The Legend of Zelda game, and with players born after 1990, I believe it is often overlooked in terms of its quality in context of the time it came out. You didn’t have the internet, and you were very privileged if you had the saving grace of a Nintendo Power magazine. This was back when games were crushingly brutal, but a save battery in the cartridge was so revolutionary, and it also was encouraging for exploration. But the hints were few, and people had to discover what to do through word of mouth or sheer trial and error until they solved all riddles, found all pieces of Triforce, and defeat Ganon. Many will say that The Legend of Zelda: Breath of the Wild is the magnum opus of the Legend of Zelda franchise, but that’s what is said about every Zelda game upon it’s release. Instead, I say that Breath of the Wild is the first truly revolutionary title in the series since Ocarina of Time. Not to say Majora’s Mask through Twilight Princess were not great games, because they were, but they clearly followed a blueprint of gameplay and design despite each having drastically distinctive art direction and gameplay tweaks. 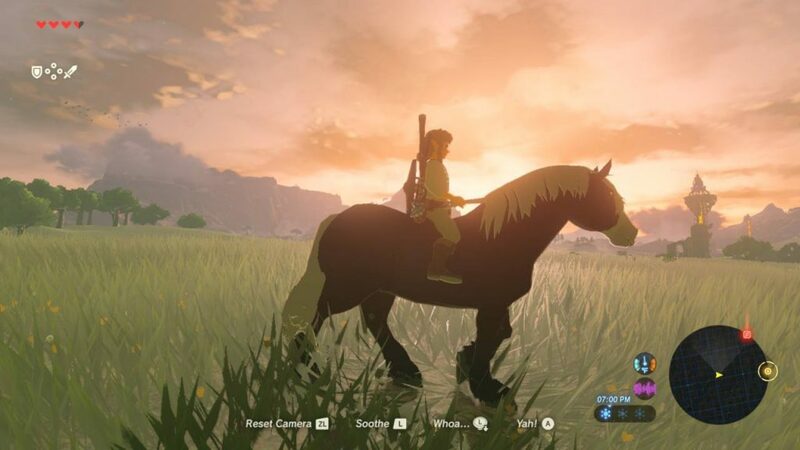 There have been many parallels since Breath of the Wild’s release to surmise it’s design choices and it’s influences from the rest of the gaming industry. Sure, the weather and environmental mechanics feel derivative of Minecraft, the combat and weapons system feels akin to Dark Souls, the side quests and scope of the overworld seem akin to that of The Witcher 3. 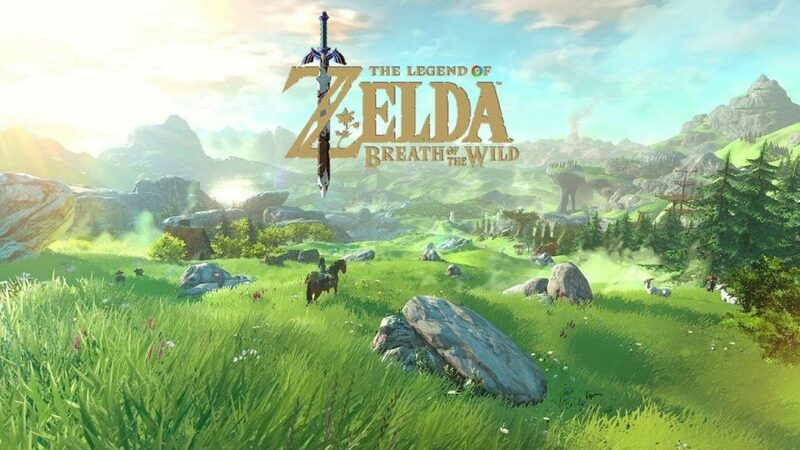 A revelation I came to myself was that it had a similar open-world-gameplay-quality-standard to light-mostly-meaningless-to-the-experience-story ratio as in Metal Gear Solid V. But the most important thing about Zelda feeling derivative of the rest of the modern gaming industry (and working) for the first time in a long long long time, is that Eiji Aonuma and his team infused those mechanical concepts with Nintendo’s almost Disney-like charm: an essence and standard of art direction and tight gameplay that simply is so perfectionist it cannot be replicated. So, while it feels like an amalgamation similar to games that many players haves seen before, it combines those elements that fixes the issue of open world gameplay but introducing a nonlinear quest structure. 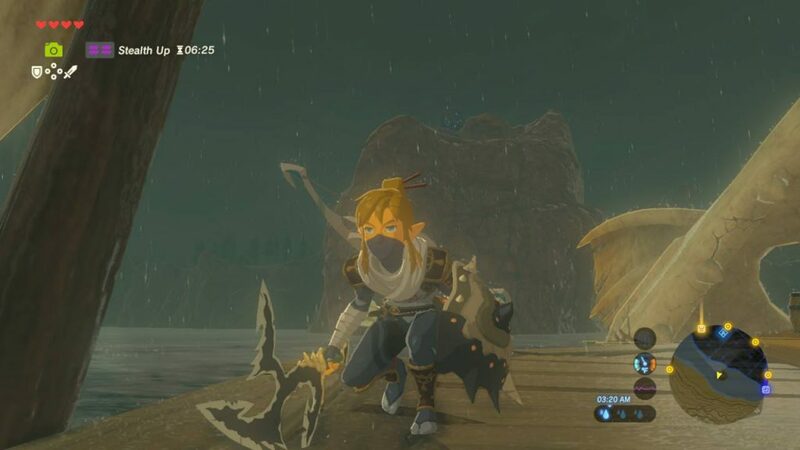 Players can beat the three hour tutorial, skip everything and try to encounter the final boss with a stick, or they can sink 90 hours into it like I did and explore all the scenery, shrines and people Hyrule has to offer. 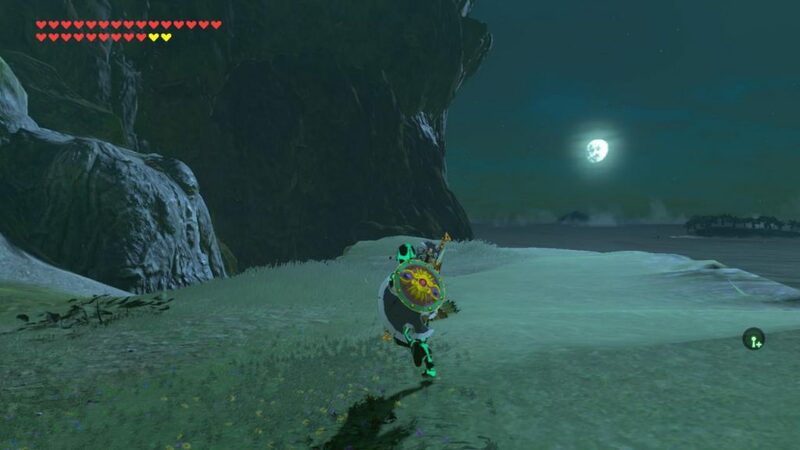 Your actions in Breath of the Wild’s Hyrule feel the most impactful on it’s people since Majora’s Mask’s townsfolk, and not having to deliberate helping those people over rushing through main story quests entices you to spend more time stopping to smell the flowers, sometimes literally. Those secret discoveries people experienced in the 1980’s I described with players of the first Zelda game on the NES have been magically recreated in 2017 in this hyper connected world of the internet, 24 hour news cycles and YouTube walkthroughs, and that’s because the game encourages your journey to be carved on its own path. There are hundreds of ways to complete various puzzles and quests, and just because someone puts 30 hours of gameplay into Breath of the Wild doesn’t necessarily mean they’ll encounter the same sights as someone who’s played 15. Because of this completely open playstyle, the social discovery of this Hyrule feels like an experience of the game itself, and you can consider them to be cheats or spoilers or helpful tips and tricks, but I think what I have described is exactly what Nintendo’s aim was in the long production of this title, along with providing more subdued, atmospheric surprises for their players.